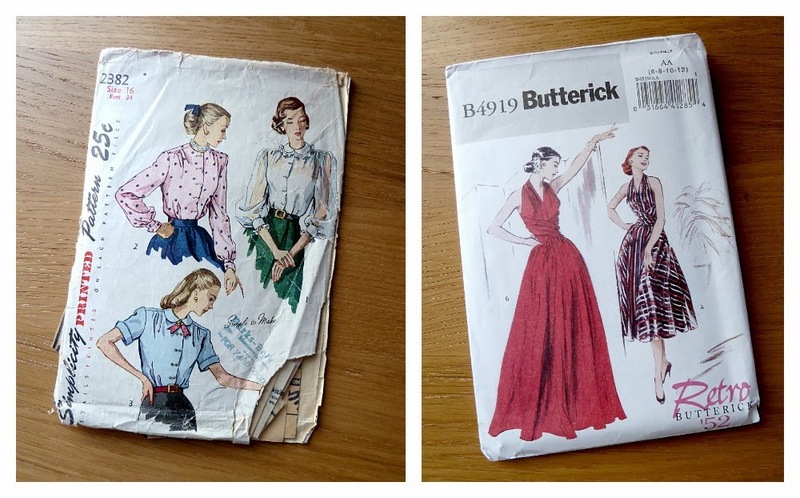 I am IN LOVE with the reproduction butterick 4919! Everybody's makes are gorgeous! 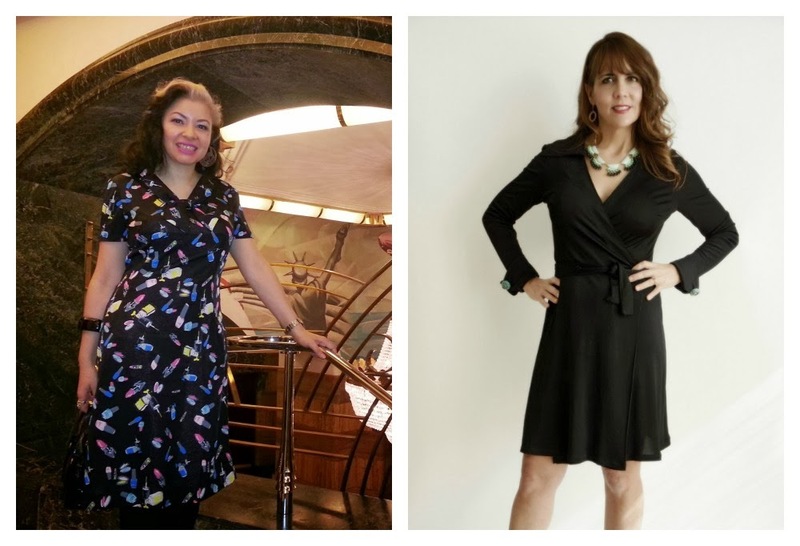 The Butterick 4919 halter dress is gorgeous - I would love to make a dress like this. oh i love the mccalls! i am just formulating my plans for the vintage pledge but sure I could squeeze that one in! I would love the McCall's 6875! So gorgeous. :) Thank you for hosting the giveaway and inspiring me to get over my irrational fear of vintage patterns! I would most love to win McCall's 6875. So pretty and just my style! Thanks for a great blog and a lovely giveaway! I absolutely love the Simplicity blouse :) Thanks so much for the giveaway! I'd like to make up the McCalls 1960s. It looks pretty versatile and I think I can do an FBA to fit. 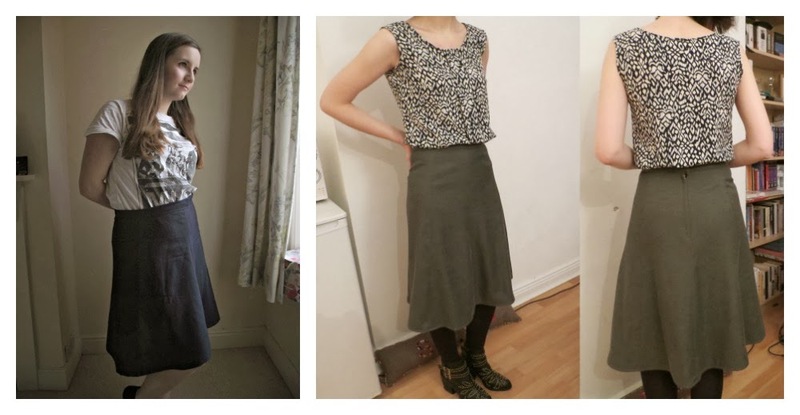 I'm currently working on muslins for the repro Simplicity 2154 pencil skirt and blouse combo. Email: senjivastudio (at)gmail (dot) com. Hi Marie ! I'd love the Mc Call's too. Thank you. Those patterns all look so lovely! But the easiest way to keep my promise would be if I win that gorgeous seventies dress! :D You can contact me at elinemeeus[at]hotmail[dot]com. I'm going to back out of the giveaway, but I want to say that this is a great pledge! I wish I had more time to join! I really like the McCalls pattern -and it's my size too. And, what is really funny, I found the same Style Pattern last spring (http://finishedthread.blogspot.ca/2013/05/the-70s-are-growing-on-me.html) and last summer I made a dress from the pattern in the lower right of the same frame as the Style pattern (http://finishedthread.blogspot.ca/2013/09/two-muslins-one-wearable-one-needswork.html) but it needs a bit of work. Now, that's a great idea! I'd love to make a dress from Style pattern 4530. Oh, I love the Simplicity 2382 blouses! 40s style is just so suited to me, I think. 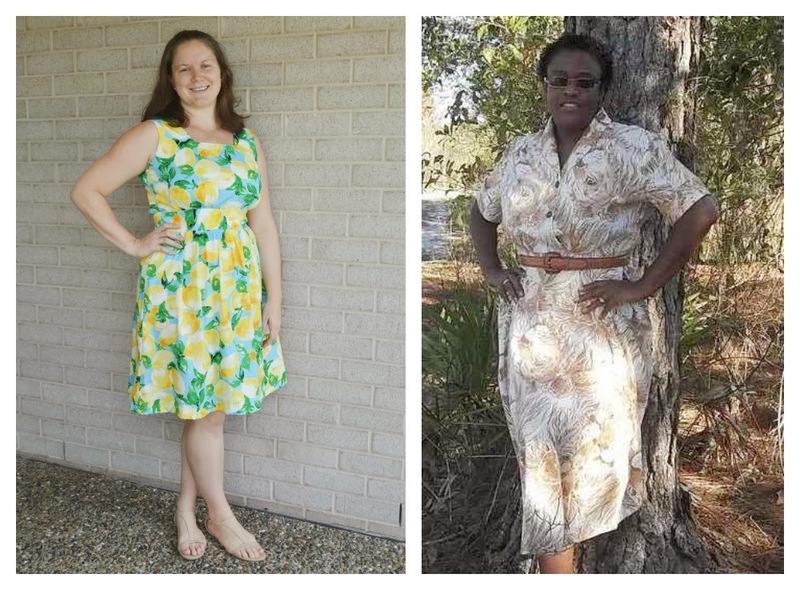 I adore the Reproduction Butterick 4919! I promise to make it if I win! 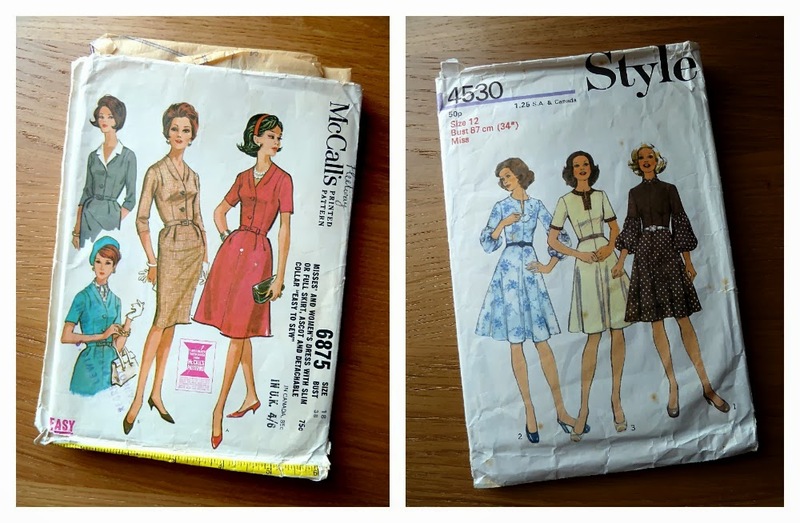 I love the McCalls 6875, buttons, cute sleeves, and two perfect skirt options. Plus, it would give me a chance to try some grading in the bust, down to a 36. Thank you for the giveaway! The Mccall 6875 is cute, though I would have to grade it up just a bit. I LOVE the Simplicity 2382! I think I might use this white and pink flocked cotton for it! And I believe I need to photograph my Dapper Day dress better so I can have a submission for #vintagepledge! 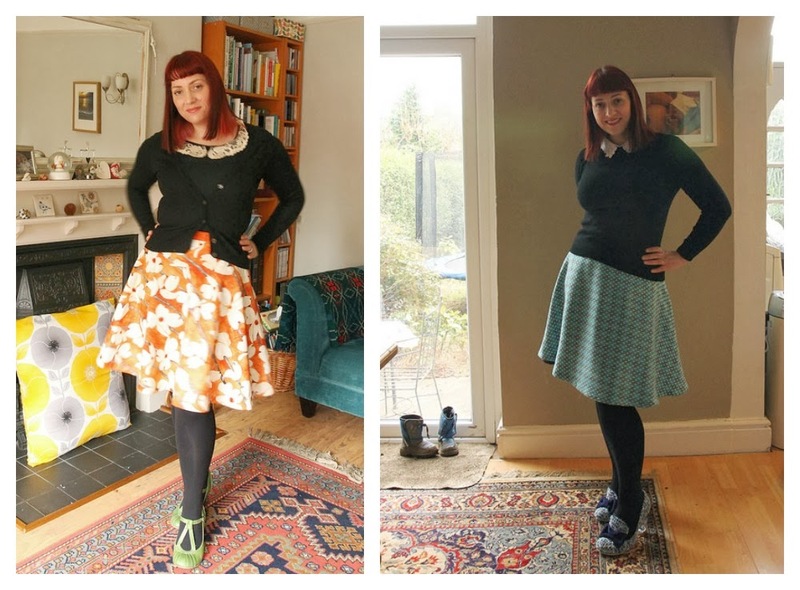 I loveee the butterick! The ladies' makes are fab! Oooh I adore that "Style" pattern! I've long wanted to try those. I have never had one of that brand before. Thanks for the chance to win! I've been meaning to sign up! I've got so many vintage patterns. Great giveaway!! If I won I would like the Butterick Retro, as I am trying to sew all of them. Loving vintagepledge & can't wait to see all the things that get made as a result of it. I'm going for Simplicity 2382 - I do love a cute blouse. I've been looking for a pattern just like the Simplicity blouse, ever since I snapped up a remnant of yellow spot seersucker. I'd love to make it up into this. Thanks for the giveaway! Great patterns! I would love to win Style 4530. It is my 'style' and also very close to my size, so I think I could do great things with it. I like version 1 with the contrasting placket and version 3 with the big puffy sleeves. Fabulous! I also promise to sew them up for Vintage Pattern Sewalong. What a great idea! I'd love to win the Butterwick B 4919 juat because it goes down to a size six. I rarely find anything that is fitted and for very small chests! Lots of inspirational projects so far. That blouse is so cute. Love to win this. I would make Reproduction Butterick 4919 SO HARD! It's just the kind of dress I'm always drawn to in the summer--and I live in Louisiana, where the summer lasts a ridiculously long time. 1940's blouses call out to me and that one has gorgeous sleeves! Simplicity 2382 ... I would make a blouse with those divine sheer sleeves! Forgot my email address in my previous comment. Thank you for this giveaway. I would like to make more blouses so I'm going for Simplicity 2382.